The month of March have been ticking off every skincare junkie’s lists at Sephora as it has been all about the cleansers! If you’re very particular about skincare like I always am, it goes without saying that the most important step of every beauty routine is to thoroughly cleanse your skin without damaging it. 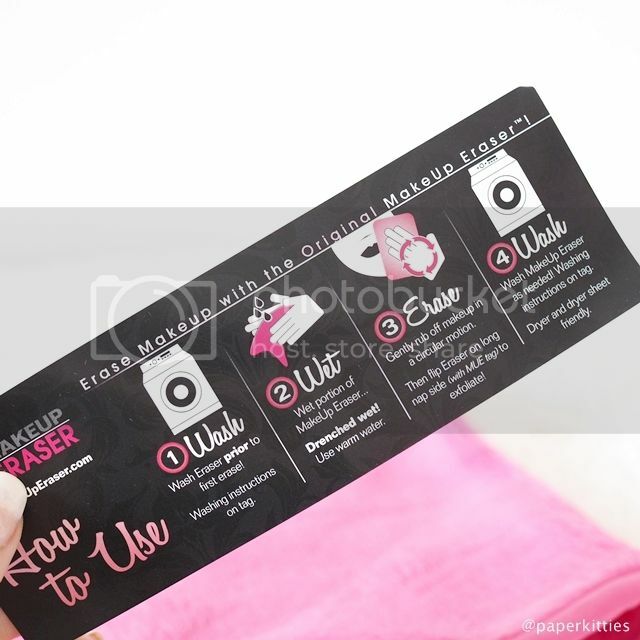 Screw up this step, and all the moolahs spent on your subsequent beauty products will go to waste – that’s a fact no one can deny. 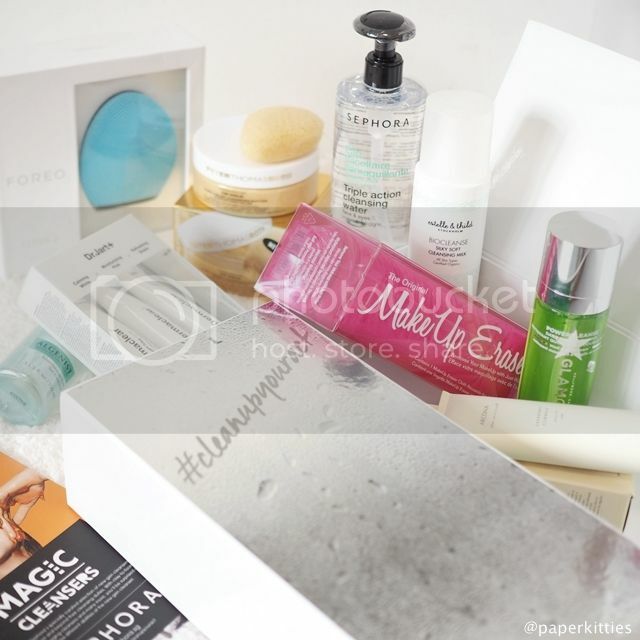 And as you know, Sephora.SG is now live, after their transitioning with Luxola.com, why not read on to find out more of the wonderful cleansing options available both online and offline! By the way I have taken the liberty to categorise them into different combos in accordance to the best fit possible in my humble opinion; please feel free to leave your suggestions on how you would like to mix and match them too! 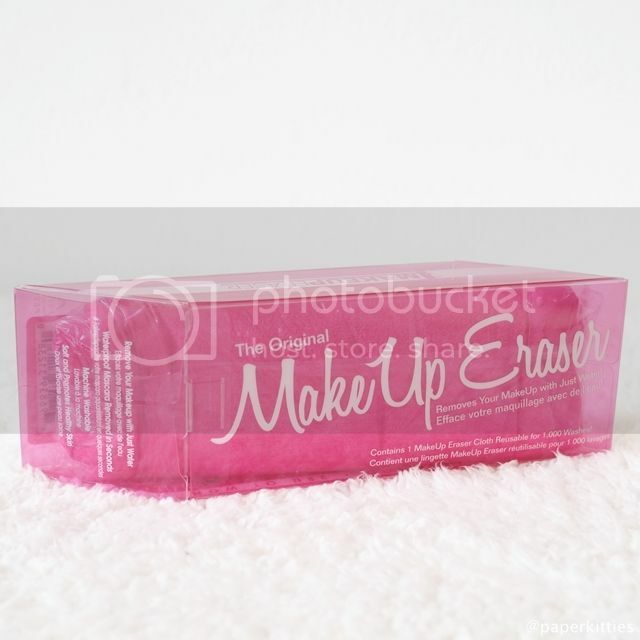 Let’s get started with the simplest of all, removing your makeup after a long day with a Makeup Eraser! 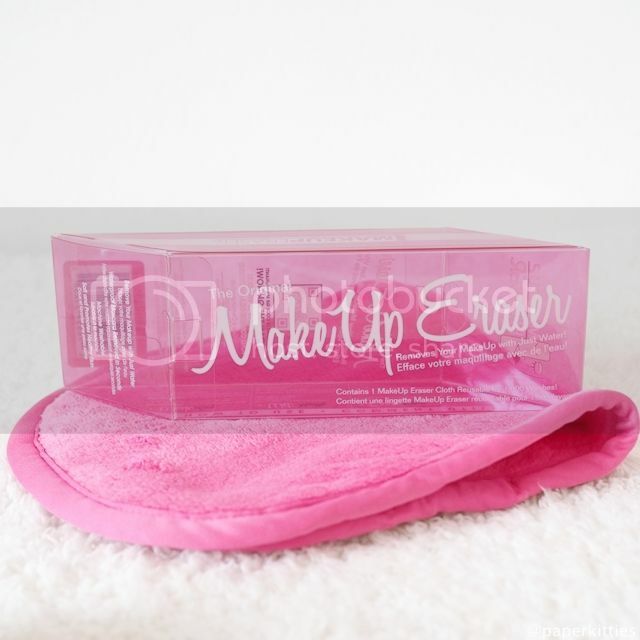 Using only water, this magic cloth removes all makeup without chemicals. The secret lies in the weave of the fabric which picks up all traces of makeup on the face. All you got to do is dampen the cloth with water, rub in a circular motion and watch your makeup disappear from your face. It’s that simple! To clean the cloth, simply either wash it with water or just throw it into the washing machine. It can be used up to 1000 times, and washed up to 100 times (in the washing machine). Money well spent without wasting any more cotton pads! Sounding too good to be true, I got to put it to a test of course. I actually tried removing my bridal makeup after my pre-wed shoot and it came off so easily, I was very amazed 0.0 Even my fatty was too! Imagine just bringing this towel to the gym and simply wipe it off before commencing your workout. So fuss-free; saving one the hassle from having to bring a cleanser la, towel la, mist la and may even wet my hair when splashing the soap off. My verdict? MUST-BUY!! To further add to your convenience, why not use this multi-tasker product right after you’re done removing your makeup? 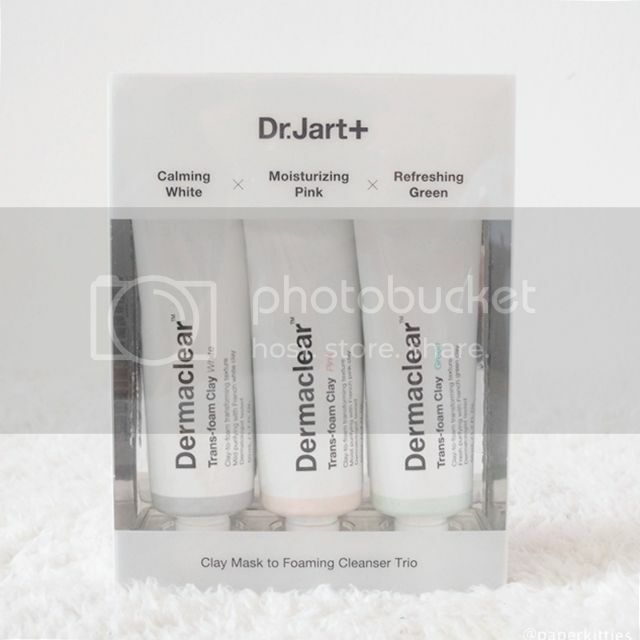 Made with natural sun-dried French clay, this 3-in-1 Dr. Jart+ Dermaclear Trans-Foam Clay Trio acts as a pore cleansing, keratin care and cleasing product at one go! So basically, you get to leave this clay mask on for 3 minutes before washing it off like a foaming cleanser to remove makeup, absorbs oil, and detoxify your skin! I’m quite amazed by the reasonable price tag to be honest, as I would have been expecting $50 and above but no! And these 3 clays come in different functions: Moisturising Pink Clay to hydrate and purify, Calming White Clay to provide a mild and soothing purifying effect, Refreshing Green Clay to control excess sebum. All three may be suited for skin at different time of needs, but it is definitely a good investment if you’re still trying out on clay masks. They are very gentle as compared to the #maskaholic: clay masks edition I have reviewed on previously, allowing you to rotate around almost every day. As for me, green is def my favorite! So there you go, full cleansing routine summed up in just 5 minutes! 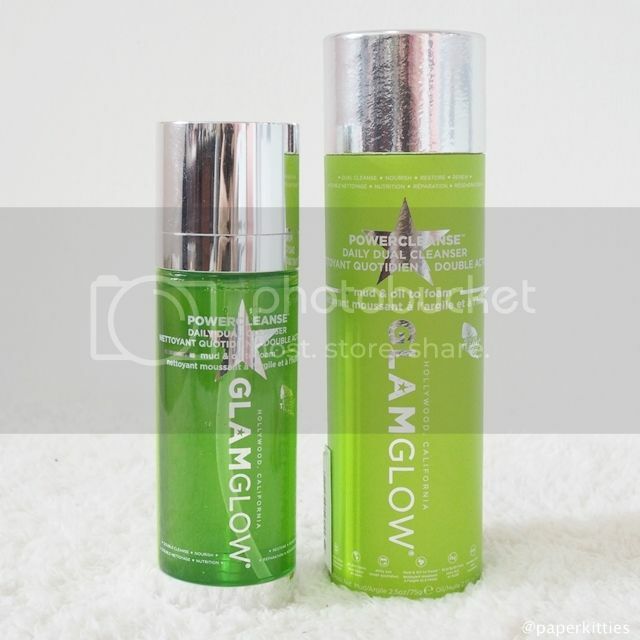 If you have been reading my blog often, GlamGlow shouldn’t be new to you at all. The mask counterpart had always been a reliable weekly deep cleansing mud for me but I like the cleanser version even better! GlamGlow POWERCLEANSE™ Daily Dual Cleanser combines the power of mud and oil to foam for a daily cleansing experience. They are kept separated for maximum stored power, but transform into an effective dual cleansing foam that eliminates makeup, impurities and dirt build-up whilst maintaining the results of your weekly GlamGlow treatments for healthier-looking skin. This is fun to use as you can determine the ratio of oil and mud as per your preference; when I have makeup on, I tend to be more generous with the oil (ideally 2 pumps oil 1 pump clay, otherwise 1:1) for easy removal. It is very gentle and doesn’t strip my skin dry; pair it up with my Foreo, and this can be THE mighty combo! 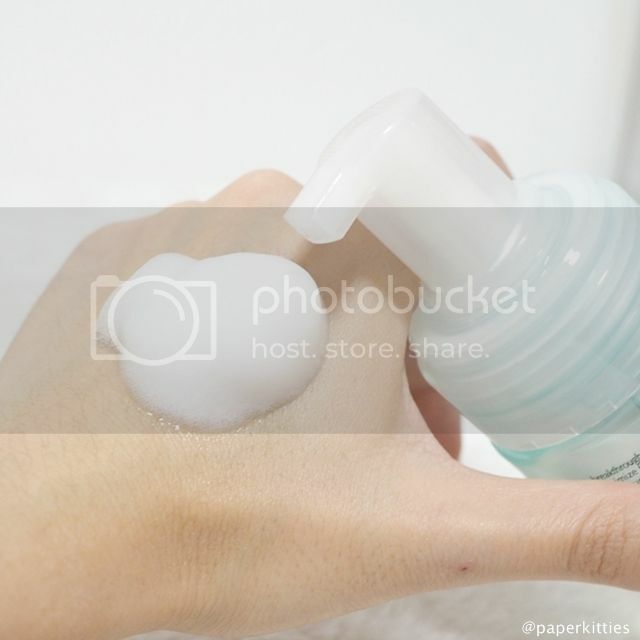 However, if you are worried that double cleansing with GlamGlow may be too harsh for you skin (especially if it is sensitive), you may wish to consider using Biocleanse Silky Soft Cleansing Milk instead. An organic skincare line that harness the power of soothing botanicals, such as Black Elderflower and Aloe Vera, to sweep away impurities while maintaining the skin’s natural pH levels. 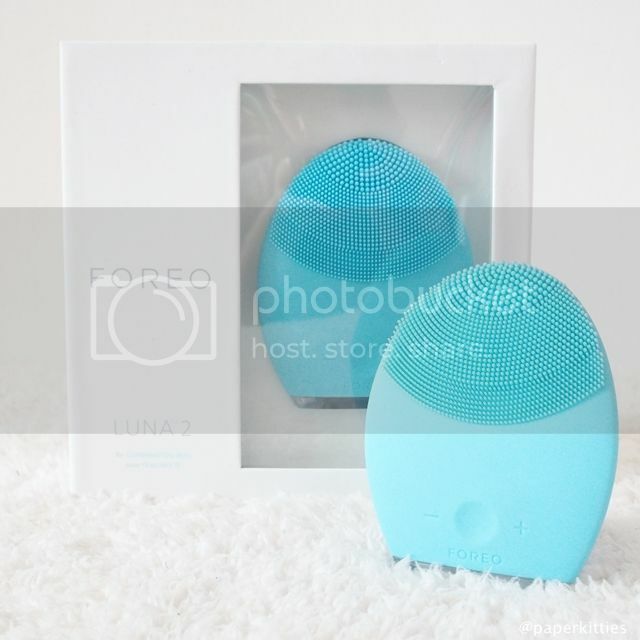 Reason I suggested pairing up Biocleanse Silky Soft Cleansing Milk with my Foreo is because I find the cleansing milk too delicate for my clogged pores, and without the backing up of a cleansing device, I’m afraid it won’t do much for my skin after a long day. Put both together, they are a perfect ying and yang fit – not too mild nor harsh. I could, however, forsee myself saving this to be used along on the occasional dry skin spell my face encounters after a holiday. Never hurt to have back ups right? COMBO #3: Fuss-free and easy anyone? Although Sephora may bring in loads of amazing brands, you will be surprised to find out that some of their homebrands do put up a good fight and are much more affordable too! 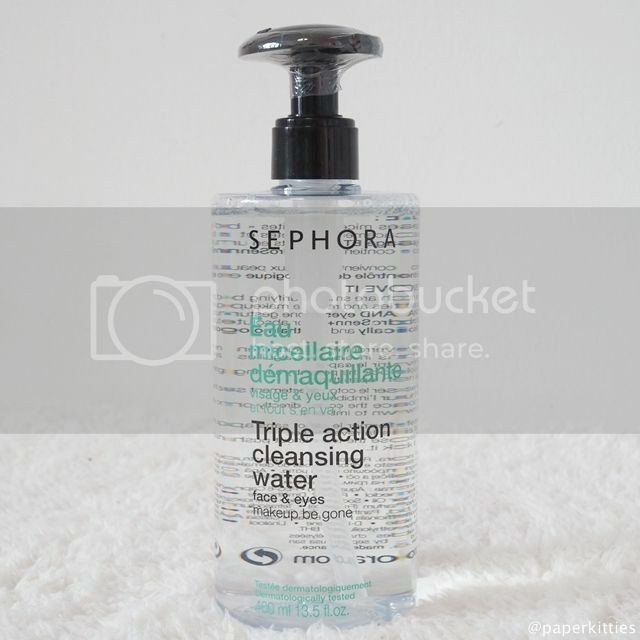 Sephora Triple Action Cleansing Water simultaneously removes makeup and moisturises the skin, leaving it clean and soft at touch. 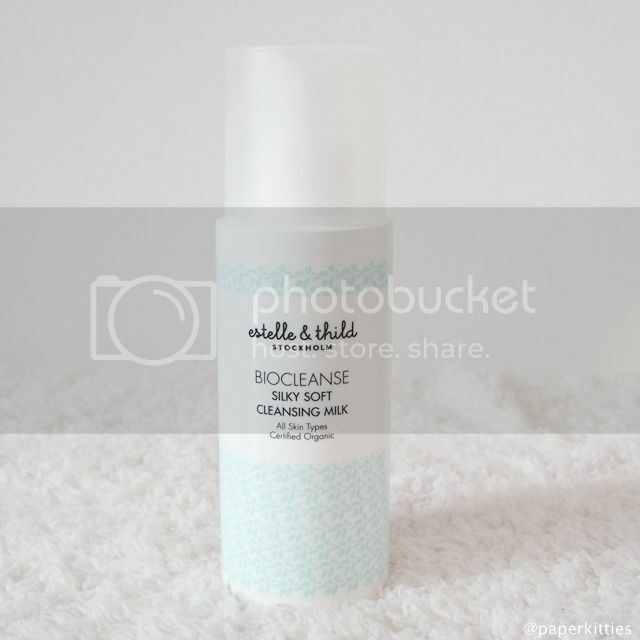 This micellar cleansing water also means that there is no need to rinse after use and is perfect for days when you are in a rush. But if you are a typical skincare junkie who don’t feel comfortable cleansing your face with just micellar water, you can afford to skip a step just like I do occasionally. 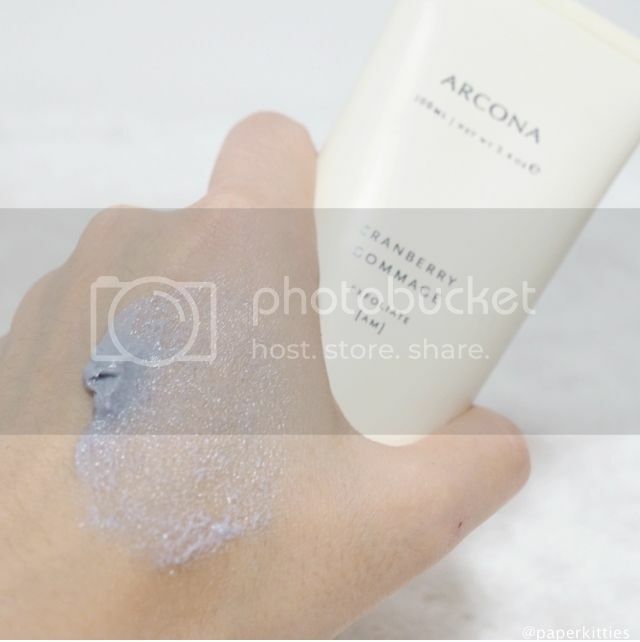 Recommended to be used 2-4 times a week, Arcona Cranberry Gommage contains salicylic acid, volcanic minerals, cranberry and raspberry enzymes. It aims to unclog and minimised pores whilst exfoliating and providing antimicrobal, antibacterial benefits. At first whiff, I was in love with this sweet cheery scent that’s so addictive, but it quickly turned a bit weird upon contact with my face. LOL. That is not the main point though, this gritty scrub is amazing! 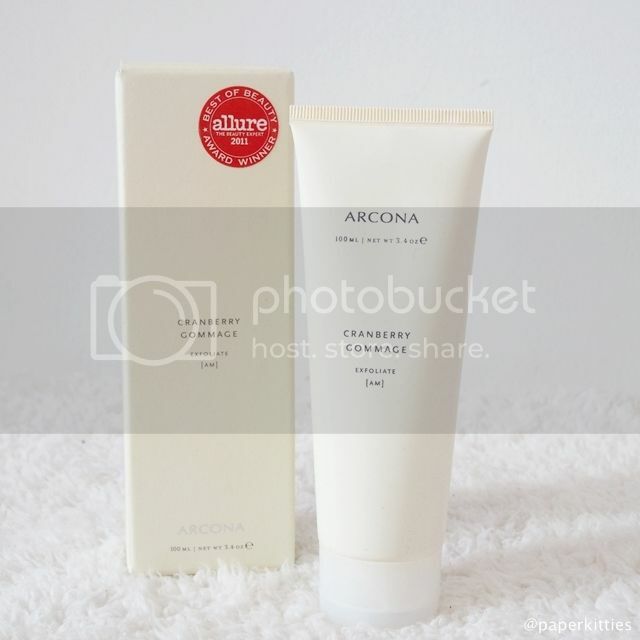 Out of all the facial scrubs I have tried so far, Arcona Cranberry Gommage has got to be the most concentrated exfoliator I have ever used. The grains used to exfoliate the skin are so fine, they don’t irritate at all, they just do what they’re meant to do – exfoliate intensively! However having said that, once the scrub is washed off, my skin does not sting or feel raw. In fact, it feels baby soft & smooth. 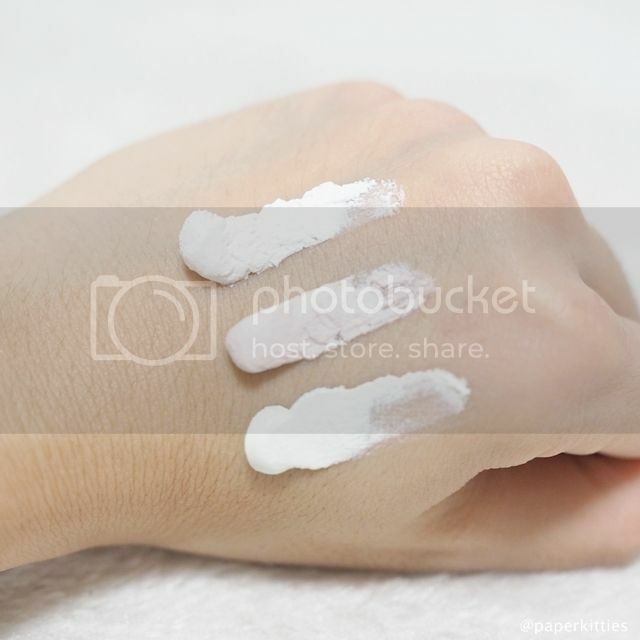 If you have dull-looking combination skin, you got to try this!! Instead of combining a couple of products like the previous combos, I will be splitting this one up for day and night usage instead. Being in my late 20s, it goes without saying that I am long overdue in prepping my skin with anti-aging products. 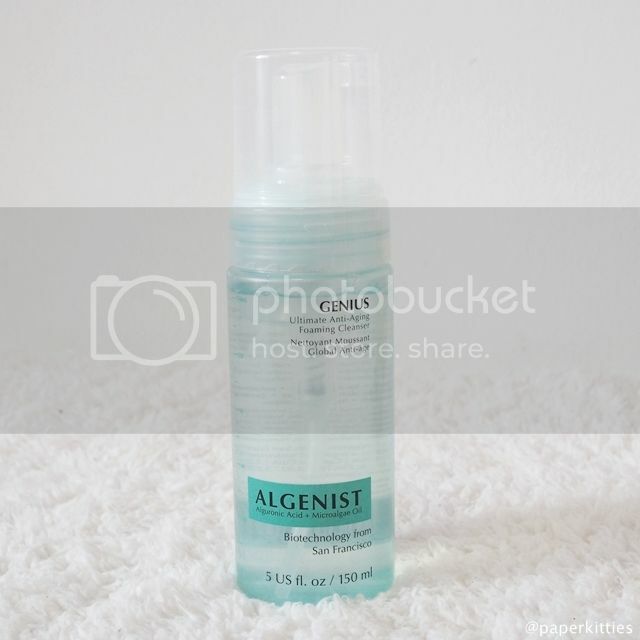 So let’s start things slow with Algenist Genius Ultimate Anti-Aging Foaming Cleanser first. An anti-aging foaming cleanser that contains Alguronic acid and Microalgae oil to minimise the appearance of fine lines, this gentle cleanser puts you on the road to supple youthful skin. I put this in the morning routine as it doesn’t remove makeup unlike the rest (if you want to get one from the same brand, it will be the Melting cleanser instead), but that doesn’t it isn’t on par as the rest. This Algenist Genius Ultimate Anti-Aging Foaming Cleanser has got to be one of those most gentle foaming wash I have used; it leaves my skin super clean but very soft and feeling hydrated. Making it perfect for morning, does the work in removing the leftover products (if any) I have applied the night before without overstripping the skin. Sephora really have too many hidden gems I have yet to explore lo! After a long day at work, why not treat yourself to Peter Thomas Roth 24K Gold Cleansing Butter? This solid-to-oil cleanser melts away makeup and impurities, and comes with a Konjac teardrop sponge to allow for targeted cleansing and exfoliation. This treatment product is especially recommended to those with dry skin since it comes with nourishing ingredients such as chamomile butter and honey to hydrate and revitalise your skin. This, omg, is so luxurious, I couldn’t bring myself to use it. Peter Thomas Roth 24K Gold Cleansing Butter is best suited for those with dry to normal aging skin as the texture is so buttery and melts on your skin, like a mini spa treatment. It cleanses my face well leaving it soft, moist, and smooth; I was almost tempted to skip my moisturising step 😡 If you have oily skin like me, I would recommend to use it possibly once or twice a week, and to always use a toner after cleansing so as to ensure that it won’t leave any slightest residue on our face. 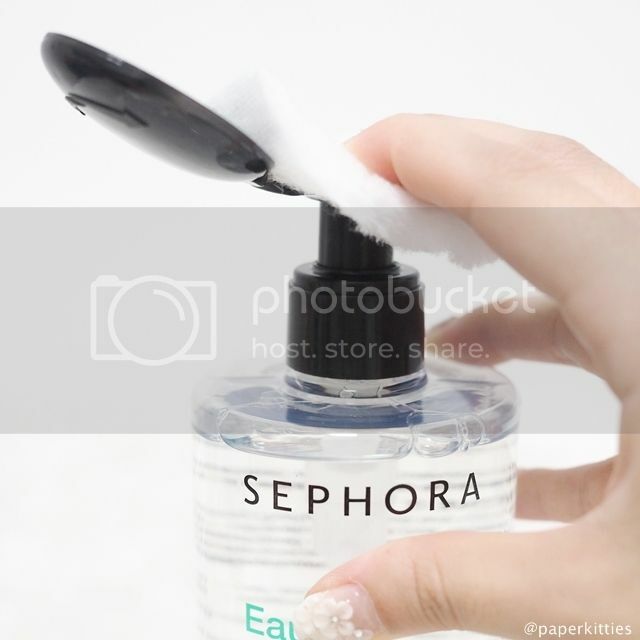 That’s all for now, I hope that it has been useful in aiding your decision in purchasing the next cleanser at Sephora. Although I actually have quite a few more awesome cleansers I’ve bought there, perhaps I shall update this space as I go along so that you will get quite an extensive list of the awesome cleansing options available in Sephora, do look out for it!